I can't imagine how I would be able to remove bermudagrass rhizomes without this tool. It's also great for targeted lifting out of one specific weed. My go-to, most-used tool! purchased cobrahead 4yrs ago, love it ,use it every time I am in the garden.Still in good condition.Cleaning tool helps maintain edge. Purchased this tool at the Chicago Garden Show, and it has not left my side since. It is the most practical, useful instrument for a gardener. 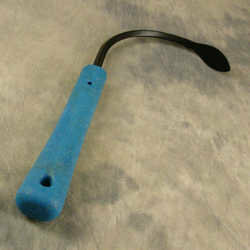 I use this instead of my finger to prod the unknown nooks and crannies of my yard. Once you start using it, the jobs it applies itself to are endless...just like an extra little hand. Already two of my neighbors have envied the ease with which the tool accomplishes its job, and have ordered it. I highly recommend this well constructed, user friendly, but mighty tool. 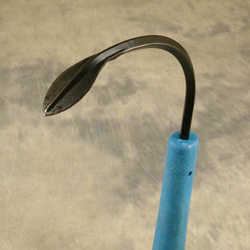 The Cobra is a marvelous tool for all kinds of garden tending. 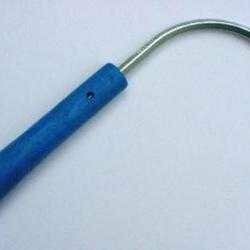 It is designed to grab a weed from the bottom without destroying the nearby plants and is a joy to use, quick and efficient. For years I have used a straight weeder with a pronged end, but the Cobra is much better designed for the job and because it is so effective, it takes the tedium out of pulling weeds. Also good for breaking clumps, aerating soil surface, and smoothing a newly weeded bed. I was given a Cobra last month and couldn't be more pleased with the tool. Best weeder, plus it trenches, digs, levers (small jobs), and more! It has an ergonomic handle and is much easier on my arthritic wrists than other tools. Can you tell I love it?